Does your job put you in the line of fire–or at least near hazards of flames or arc flashes? If so you’re probably used to wearing fire-resistant gear to help keep you safe. Workers in some industries–like oil and gas–need FR protection as well as high-visibility gear for when they work in environments like near roadways or heavy equipment. 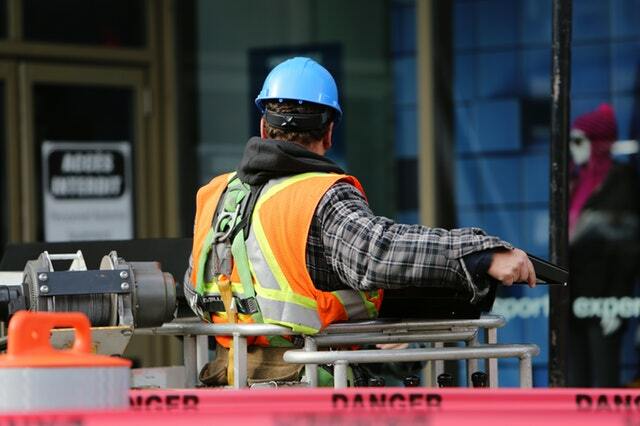 Since layering both FR gear and high-viz apparel can be cumbersome, it’s important for workers to find gear that offers multi-hazard protection in one piece. Off road (Type O) garments offer the minimum amount of high visibility materials to differentiate the wearer from non-complex work environments and is only appropriate for off-road environments. 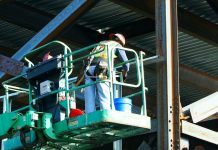 This gear is right for workers in an environment with moving equipment/vehicles and accompanying struck-by hazards, and visibility is a concern. Roadway and temporary traffic control (Type R) garments are for occupational workers who are exposed to roadway traffic and who work in an environment with moving equipment/vehicles. Garments will have additional amounts of high-visibility materials that allow for better definition of the human form. Public Safety Activities (Type P) garments give additional options for fire, police, and EMS personnel who have other potential hazards that require them to access equipment on their person. Type P garments differ from type R garments mainly in the area requirements for background material. Although it will vary by specific job, most workers in the oil and gas industry can wear high visibility gear that falls into Type O. For example, workers in oil and gas extraction, refineries and mines may not be at risk from oncoming traffic, but they still need to visible against heavy machinery. Utility workers, however, may need protection in the Type R category since they may work near roadways. It’s important to note that not all high-visibility vests and clothes are also fire-resistant. If you need FR protection, make sure to check the label of your garment. All high visibility safety accessories–according to ANSI–need to be labeled as either “FR” or “Not FR” next to the pictogram of the garment. Working Person’s Store offers a wide variety of apparel that provides workers FR and high-viz protection. Find the gear that’s right for you and stay safe with multi-hazard protection garments.